World number one James Willstrop weathered a phenomenal fightback from his training partner Saurav Ghosal before clinching a place in the quarter-finals of the Canary Wharf Classic. 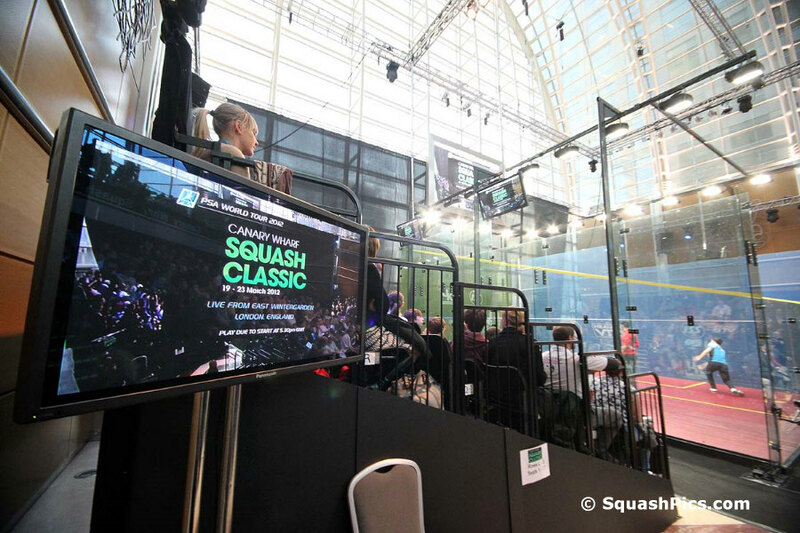 The two players practice together at Pontefract and are neighbours in Leeds, but there was no room for friendship or sentiment on court as they engaged in a battle of enormous skill and brutal physical commitment. 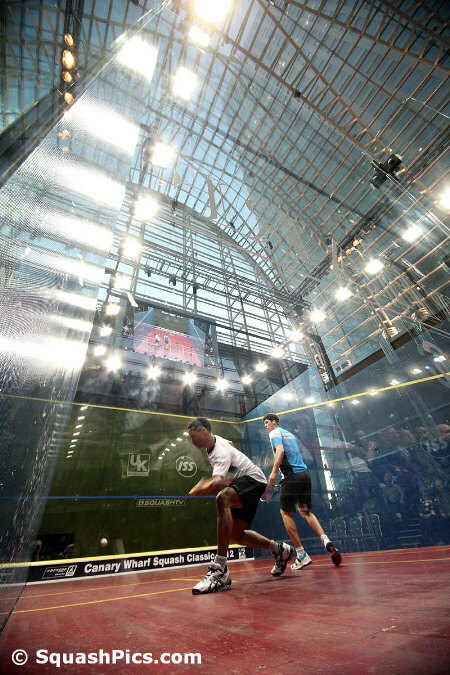 Ultimately, Willstrop’s superior quality delivered victory in 84 minutes of high-quality entertainment, but the Indian number one earned repeated bursts of applause from the packed crowd at Canary Wharf’s spectacular East Wintergarden venue for his never-say-die approach. 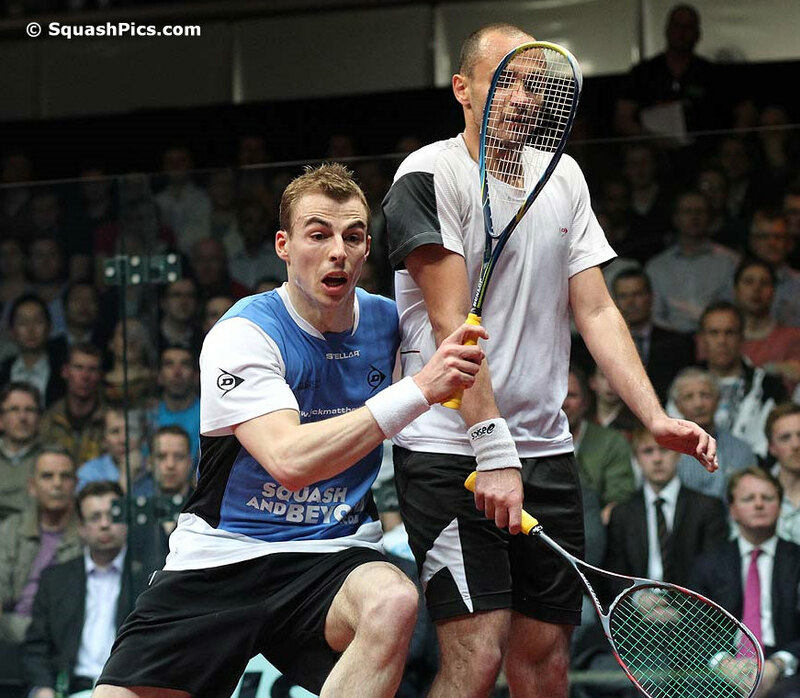 "I have repeatedly warned people in pre-tournament interviews that there are no easy matches at this level. 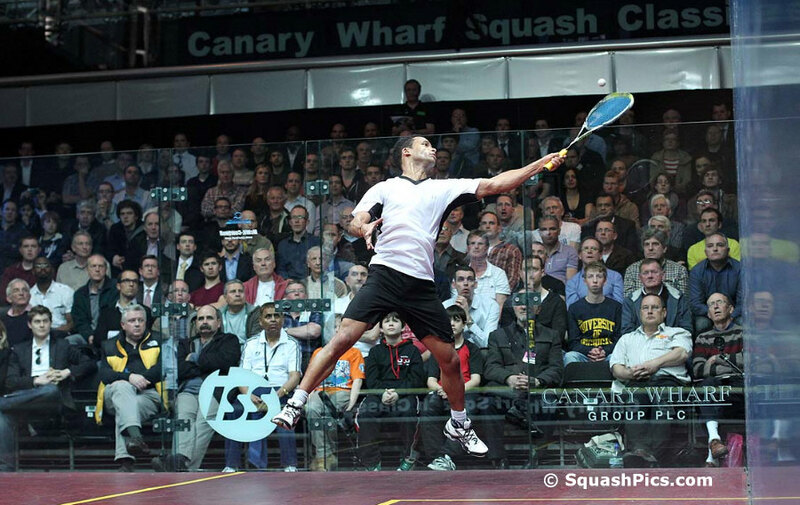 If you step off the pace by the tiniest amount, players like Saurav will jump on the ball and punish you. "He is so fast around the court and kept getting the ball back. His retrieving was so amazing that I could sense the crowd were getting on his side and willing him to do well." 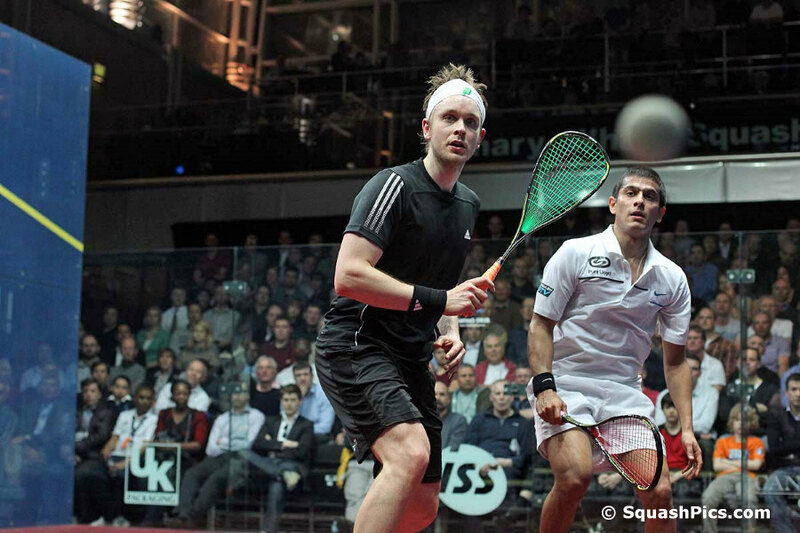 Ghosal, who has yet to beat Willstrop in a PSA tournament, held match ball against him in the WSF World Cup last year. 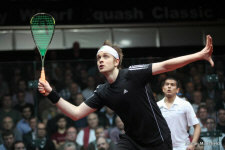 "That match was very close but this is certainly the best I have played against him in a PSA event. James is playing so well at the moment, and his straight game is so immaculate that he hardly gives you anything to hit. "We all saw what he did to Ramy Ashour in the North American Open and he is the best in the world at that because he is so good at holding the ball. 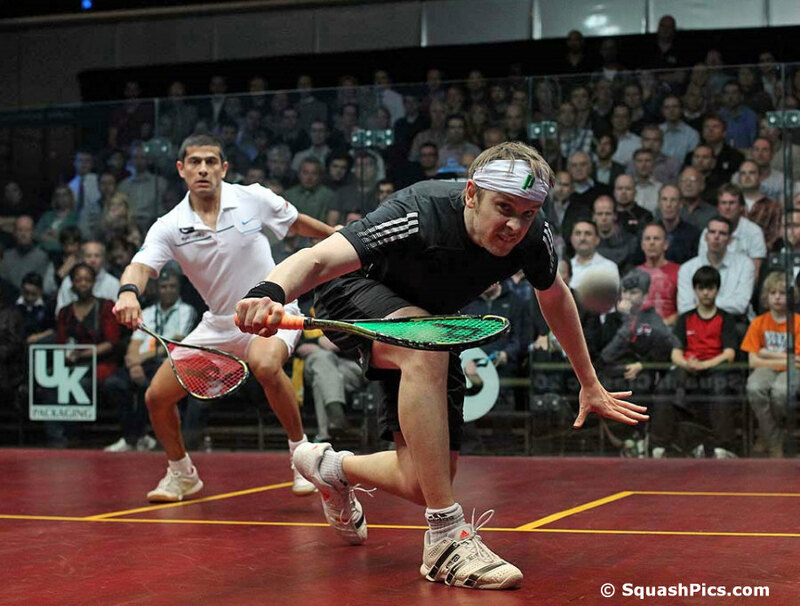 With some players you know where the ball is going but James keeps you guessing." 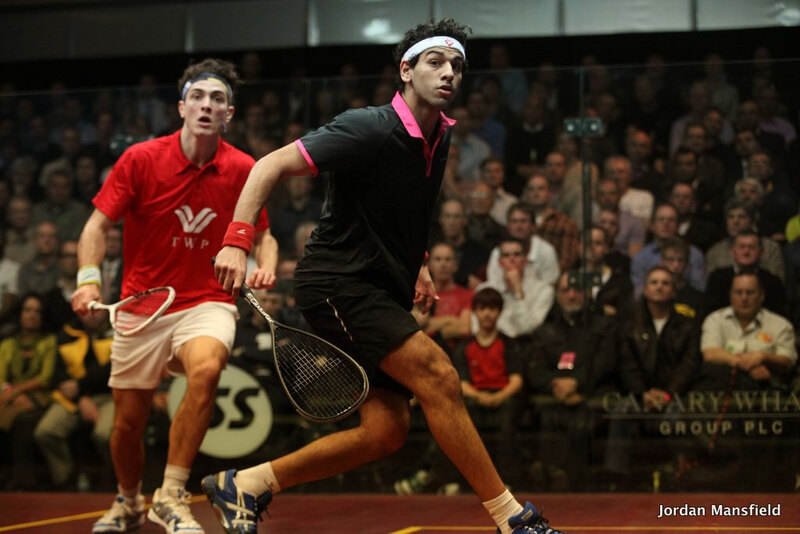 Willstrop’s quarter-final opponent, Tarek Momen, won an all-Egyptian match against world junior champion Marwan El Shorbagy, 12-10, 13-11, 11-7. El Shorbagy’s elder brother, number four seed Mohamed, overpowered English wild card Joe Lee in straight games. "I am so pleased to be back at Canary Wharf again, playing in this fantastic venue in front of a wonderful crowd. 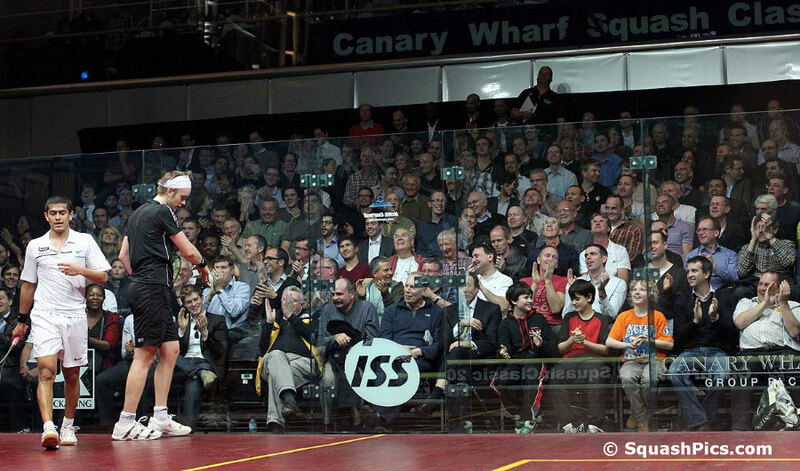 It’s a tough draw, but I was very keen to come back and try to do my best here. "I am living in England now so I’m hoping to get a bit of support this week! 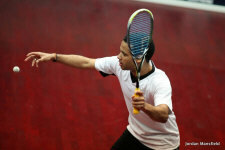 "Life in Egypt had been very difficult under the former president for so many years and change was long overdue. We are now looking forward to some stability after the forthcoming elections." 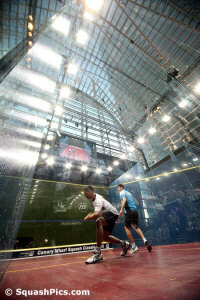 His quarter-final opponent, Londoner Adrian Grant, needed a strapping applied to his right leg during his match against qualifier Chris Simpson but still had enough class and control to win the match in four games. After taking the opening game, Grant was clearly struggling in a long second, which Simpson won 13-11. Grant immediately summoned the England physio Jade Elias to apply bandages but he failed to allow it to upset his concentration as he won in four games. "There was no way I was going to give up. The adrenalin kicked in and I was happy to play on. 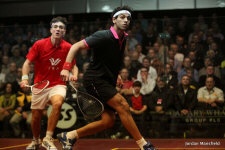 "I had enjoyed a session with the England coach Chris Robertson at Wimbledon on Sunday and he was encouraging me to attack more and finish rallies more quickly. 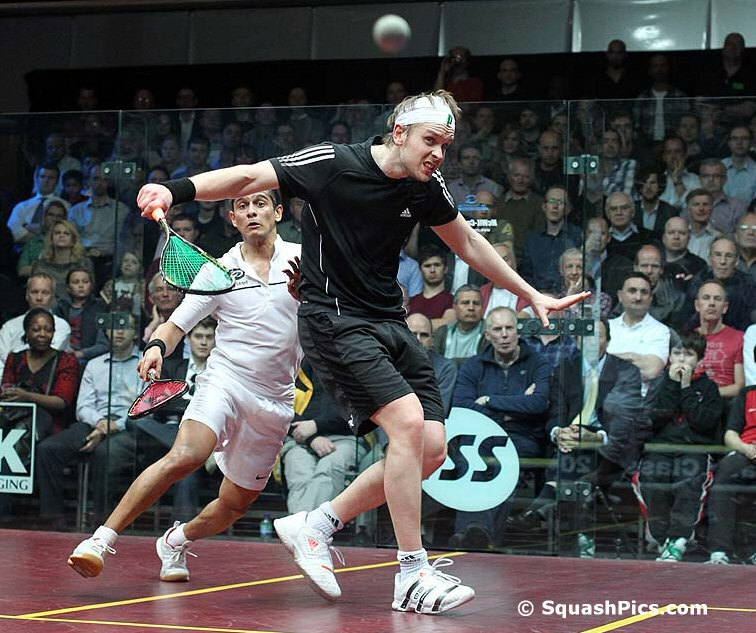 "I am glad he did because that tactic seemed to work on the glass court here tonight." Well, it was a very strong performance from Chris Simpson I thought. Adrian, slow starter, did very well today, and took the first one, to find himself under a lot of pressure in the second game, with Chris having game ball 10/7. Adrian gave it a big push, 10/10, but Chris finished it off, 12/10. A bit of a worrying time for the Grant camp when Adrian took 3m injury time during the break, but he came back, and a mixture of accuracy/patience from Adrian, plus experience on court, and maybe a bit of pressure Chris put on himself at the end of the third, that led to a few errors too many, and Adrian takes it in 4 in a very decent game indeed. 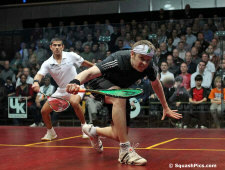 Now, Joe Lee, wild card, against Egyptian/English Mohamed El Shorbagy. It's been very well publicised that Mohamed has been training for years at Millfield, with Jonah Barrington and Ian Thomas, although a bit less now, as he is in Bristol. 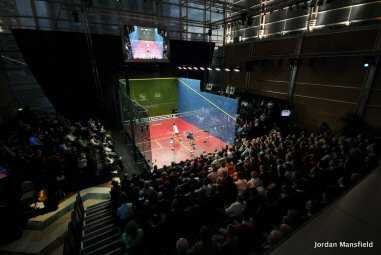 Joe used to train in Dolphin Square with Peter Genever, now National Coach for Malaysia, and I heard that Joe was working very hard with Chris Robertson, who replaced David Pearson as English National Coach. I would say that Joe has improved immensely. Yes, he got back to his too many errors at the end, but that was quite understandable, as Mohamed made him work a heck of a lot on there... Joe has added pace and delayed shots to his game, I felt him more solid, and more threatening for a game and a half, which, against a player of Mohamed's standard, is a true reward for the hard work he's been doing. He can only be encouraged by this match. 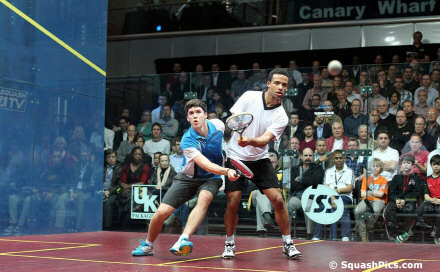 Best match of the day, of the tournament so far was between James and Saurav. Training partners, a stunning match really. On one side, Saurav, Beep Beep as a SquashSite reader calls him, who runs and retreives superbly, and got a title tonight of Better Retriever of the Year!!! James, well, never gave him anything for free, attacked, varied the pace, lobbed, increased the rhythm. 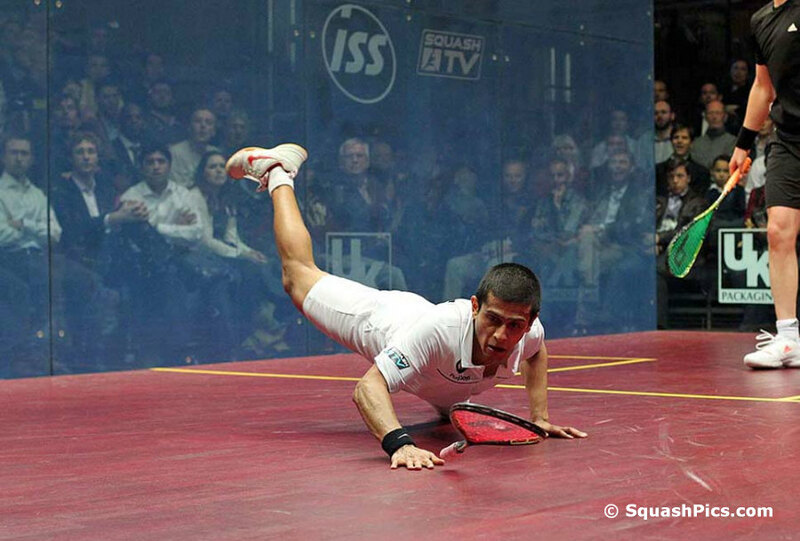 It was a masterclass in retrieving, Wolrd Class match, with Saurav saving a few match balls in the 4th, to finally bow to the World Number One, but in style. What a match, people, and if you can, just watch the replay!!!!! 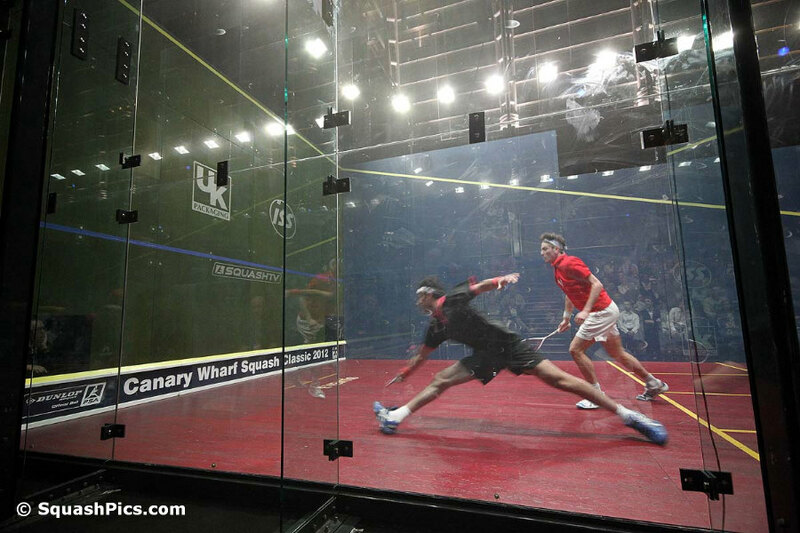 The last match of the first round was all-Egyptian, and as fast and furious as that implies, with Tarek Momen and Marwan El Shorbagy taking each other on shot for shot, winners and errors and generally short rallies. 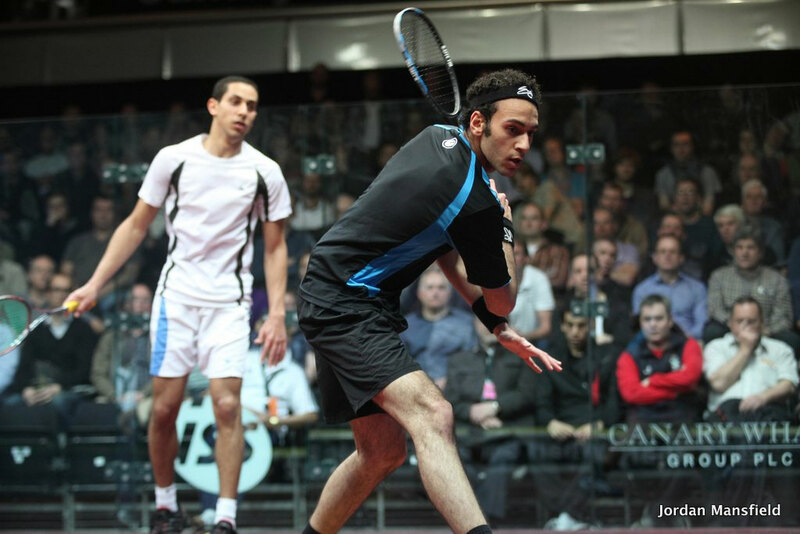 The younger Shorbagy made a good start, but his 8/4 lead in the first disappeared as Momen took it 12/10. Momen then let his own 9/4 lead slip in the second before taking it 13/11, but made no mistake after taking a quick lead in the third.